Amazing little tool answers the mystery of "how many yards do I have of this yarn?? 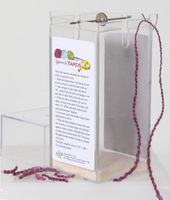 Easy to use - just hang a piece of yarn on the balance and clip bits off until the "teeter-totter" balances. 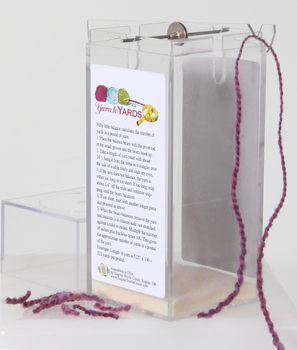 Then, do the simple math (all instructions and simple formula are on the label) and you have a very close estimate of the yards of yarn. It works with handspun if fairly consistent, novelty yarns, mystery fibers, garage sale treasures, etc. 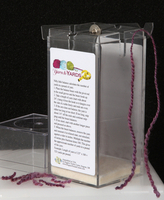 Design that project with confidence knowing you will have enough yarn.